Do you still have a Yahoo email account? We hope not! Nearly three years ago we wrote an article titled Why Yahoo is the Worst Email Service on the Planet. There have been many Yahoo hacks and disappointments with Yahoo since then and the pain for Yahoo users keeps coming. On December 14 news broke that Yahoo had yet another hack back in 2013 in which a billion user’s account data was stolen (including passwords) and it is just being revealed now. Know someone with a Yahoo account? They use it at their own peril. Also in the news in varying degrees has been the use of fake news on social media. Apparently, fake news has been used (misused) to push political agendas and drive click-traffic to make money, in addition to the usual nefarious, harmful intentions. Despite Facebook’s promise and effort to crack down on it, this “sponsored ad” appeared on Faceback this past Sunday and was sent to us by a reader. The link for the “ad” contains some web coding called “URL Encoding” which makes it harder to read by most people. But if you look carefully at the long string of text after facebook.com you might recognize the “http” and the domain celebritynewsmedia.com. We have no idea how this is related to celebritydirt.com but after decoding, it is very clear that the link will send you to a file on celebritynewsmedia.com. Google cannot find any information whatsoever on this domain and a WHOIS look up reveals that the domain was registered on November 29 using a privacy protection service in Panama. We cannot prove that this link is malicious but we would never click it! It is extremely suspicious. And, by the way, Sylvester Stalone is alive and well, thank you very much. This type of click-bait has appeared in recent months saying that all of the following had died and all reports were lies: Adam Sandler, Morgan Freeman, Martin Lawrence, Jack Black, Cher, and others. Congratulations! You can get a $50 Sears gift card! Join a network for success, for women, by women. Tons of Photos & Videos Stored on Your Computer? 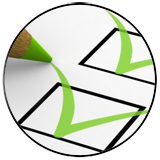 “Are YOU Top Exclusive 100 Material?” Though a WHOIS shows that the domain ligneeco.com was registered on January 22, 2016, no website title or website can be found. Google can’t find anything at all about this site either. But if that isn’t enough to convince you to stay away, the Zulu URL Risk Analyzer scored the link in the email as 95% malicious. “Join a growing executive community” “Your Confirmation is Almost Complete… CLICK HERE TO QUALIFY. Your social networking reputation among your peers and colleagues of your profession entitles you for pre-qualification!” Sound familiar? It turns out that the Zulu URL Risk Analyzer found the exact same malicious scripts waiting at darkskyreserve.net that were found at ligneeco.com, described in the first scam. 95% malicious! We thought this could be one of the coolest gifts! “The only virtual reality glasses that will work with iPhones” (not true) says this email from astoriaheadset.top. The link is malicious and points to a domain that was registered the same day the email was sent using a privacy protection service in Panama. This isn’t the first time we’ve seen criminals target folks by pretending to be a special deal from ADT. 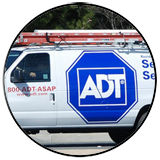 “Get Your Free ADT Monitored system and receive a Free Visa Gift Card from Protect Your Home. ACT NOW” Criminals try to fool email recipients by using legitimate-sounding names in front of the “@” symbol in an email address. Don’t believe these user names. Anyone can open an email account and put anything in front of the “@” symbol! This email came from ADT.Authorized.Dealer @enter.clapsmo.top. The domain was registered by someone named “Jerry Aldape” from Rennweg, Switzerland the day before the email was sent. And don’t believe those bogus endorsements at the bottom of the email either. Anyone can write anything in an email but that doesn’t make it true! Whenever an email contains a large single-colored box we always find hidden text in it that is intended to fool anti-spam servers and help get the malicious email delivered. Take a look at the orange text we revealed below in the orange box when we dragged through it… “Fantastic local fare! Doesn’t get better. Truly a talented chef…” The criminals lifted that text from a Yelp review of a Lafayette, Indiana restaurant called Heirloom. The domain fadlate.top was registered by someone named Dolly Miu from Stovolos, Cyprus the day before the email was sent. Readers may think we earn big bucks from our website and the work we do but we can assure you it is quite the opposite. The rewards we get come from the work itself and what we hear from our readers. For example, very recently we helped a young man who was targeted by criminals using the underage girl sext scam. He was really upset and scared his life was destroyed until his father found our article and contacted us. Kate’s bag was stolen, including her phone and she needed immediate help from me before her return flight! The real Kate is a very distant acquaintance and still had my email address. Her email account was hacked and it wasn’t the real Kate sending this email. **BIG surprise** A scammer sent it and the game was afoot! By the way, I showed this email to a group of teens and asked them if they had any suspicions about the authenticity of Kate’s claim. They easily nailed two critical points…. If Kate knew me well enough to ask for money like this, why didn’t she address me by name? “Kate’s” sentence structure, spacing and use of a lower-case “i” was awkward and didn’t feel right for a native English speaker. Oh my God! That’s awful! What can I do to help? By the way…. how are Robert and the girls? Are they with you? Let me know how soon you can get this done,E-mail me the receipt and confirmation details once you’re done. I can probably send you about $1000 this afternoon. I hope that will help! Did Sarah or Alex….. or anyone else, tell you they can help out? Want me to call them for you? Thanks so much for your concern,I don’t want them to know am out of town,I will check my mail in the afternoon for the money gram receipt once you have it send. lam still waiting to hear from you,Let me know once the transfer is done and e-mail me the money gram receipt. Please let me know that you got it ok. Can’t wait to hear your stories when you get back! They we need the receipt at money gram agent here,kindly attached it to me and the reference number is 8 digit number on the receipt. Noooooo! Kate, you know I am not good with this techno stuff. I have a paper receipt. How do I get it to you??? Tell me what to do and make it simple so even I can understand it. Sometimes I hate being over 75 and not comfortable with this techno stuff! Ok just snap the money gram receipt and attached it via email. What??? what does it mean to snap the money gram?? Snap?? I feel so stupid. Please make this easy Kate. You know I want to help. Katie honey, we’re not speaking the same language. What does screen munch mean?! Just tell me how to make a picture of my receipt?? Can you get to a hotel nearby?? I can fax it to the hotel from my fax here at work. Tell me what hotel you are at! And then my joy ended. “Kate” realized “she” was being played and left the sandbox. We’ve written about the value of wasting a scammer’s time, money and resources in our article Our Civic Responsibility to Hit Back. If even 1 in every 10 contacts were “players,” it would cost the scammers valuable time, effort and money. We encourage our readers to do this as long as they feel safe to do so. For me, at least for a few minutes in a routine day, I got a pinch of satisfaction manipulating the criminal. Score one for Team USA. “Your Credit Card Has Been Charged” says an email from the domain ccpayalert.net. “We have just processed your payment and your Credit card has been successfully charged.” That sentence is likely to produce a click to find out what you were charged for! As the Zulu URL Risk Analyzer shows below, clicking the link is the last thing you want to do! The following dangerous email landed into the email inboxes of the two senior technical staff at an organization. Fortunately, both individuals saw through the charade. Would you? “marriott reservation 708777” “We booked the Presidential Suite in Marriott for you and your spouse.” One of the emails contained an attached Word document that had been infected with a virus known as “WM/Agent.SEQ!tr” while the other email (below) contained a link to malicious files on a server in Japan. Below is another example of the value of hacking into someone’s email account and then using that account to target others with malware. You are likely to believe and trust someone you know or someone in your field of business. An administrative assistant at a Massachusetts school had her email account hacked. The hacker sent people a pdf file containing a malicious script. ON THE LIGHTER SIDE: We Got our Debt Settlement Payment, Did You? We LOVE the Internet! No, really! Because we get really entertaining emails like this one from “Daniel O.” with instructions to contact Max Archi about our DEBT SETTLEMENT PAYMENT. Who else would bother to inform us that the release of these funds is monitored by “Supra-Natural Bodies.” You gotta give these guys an “A” for trying. This is to acknowledge with thanks some recent letter received from Central Bank of Nigeria and other Banks here in Africa over your long awaiting unpaid deposit beneficiary’s funds. It is certainly to be appreciated the efforts of the government and Financial Institutions, to establish robust process of debt settlement – devoid of publicity. Your debt payment has passed the IRS Qualifying International Requirements for international deposits…exchange of data between EU Financial Jurisdictions has equally earned your deposit an approval order for credit release. That Said. Only two (2) African countries – Republic of Ghana and Nigeria are authorized and qualified to pay out these deposits via Banks in their Jurisdiction. All activities regarding this programme is now being co-ordinated by our consultants – led by John Max Archi; who will facilitate these payments. The quality of regulation of this deposit release programme is monitored by Supra-National Bodies, including the IMF; Banks involved in this programme have been substantially funded and laden with sufficient capital adequacy in accordance with International Standards. Do Contact John Max Archi the CBN consultants for the release of your funds.